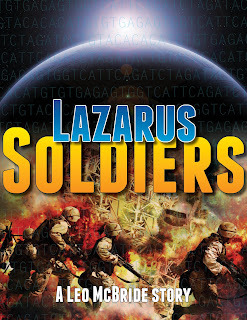 Have you read Lazarus Soldiers yet? No? 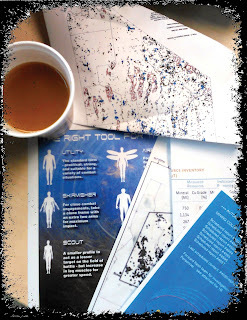 Well, hurry yourself over to Tales From The Universe by Inklings Press for this latest story by Leo McBride. 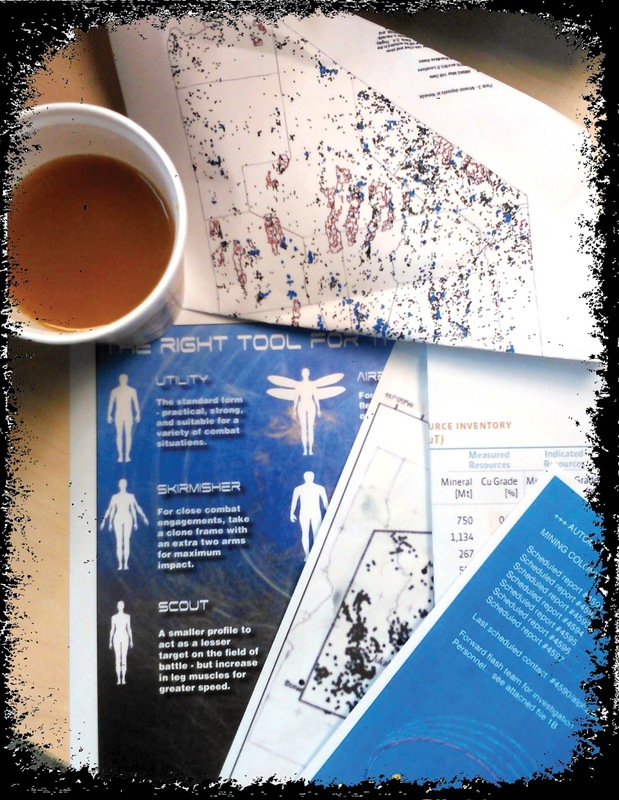 Of course, if you have, then you'll know it's a story featuring future soldiers and with a fistful of different elements of technology - so here we take a delve into some of the tech in the tale. The soldiers of the future use clones to host their personalities during combat. More than that, the clone bodies can be adapted to suit soldiers' needs in combat. There is the standard utility frame, the airborne troop with wings, the skirmisher model with two extra arms, the heavy weapons frame with denser muscle structure to allow the carrying of more powerful weaponry, the scout model with its lighter body type and enhanced leg musculature... and more, customised options. Soldiers can switch out the physical appearance of the clone body by preference, including gender, which allows adaptability to mission needs but also expression of the soldier's preference. Small, video-equipped drones can be deployed on the battlefield to provide real-time imagery to the commander, letting him know about any possible hostile movement, and giving him the ability to explore areas of possible danger without putting troops at risk. Battlefield weapons also have had an upgrade over the years, including weapons specifically adapted to the different body types available. Want a hole in that wall? No problem. Just stand back. If a soldier dies on the battlefield, the in-built circuitry within the clone frames uploads the personality back up to the nearest matrix, as long as one is within range. The soldier can then download again to a new clone body and, as soon as transportation to the location allows, get back into the fight. The soldier can even swap clone frames at this point, and can initiate the upload at will if a more suitable frame is needed for the situation. 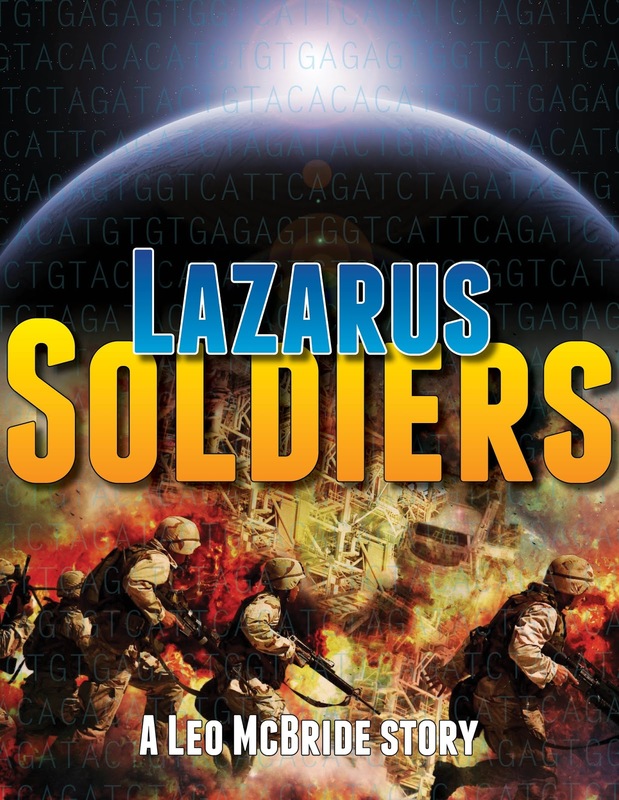 Find out more about the world of Lazarus Soldiers, and nine more visions of the future from fellow writers, in Tales From The Universe, available on Amazon: myBook.to/TalesUniverse.